Thanks to social media platforms such as Facebook, Instagram and Twitter, consumers have become core content producers for brands. When a customer posts positive content about a brand across any of these platforms, hundreds or even thousands of other potential customers see it, remember it and potentially even engage. But no matter how powerful a piece of content is, it can quickly slip away into a sea of millions of social media posts. 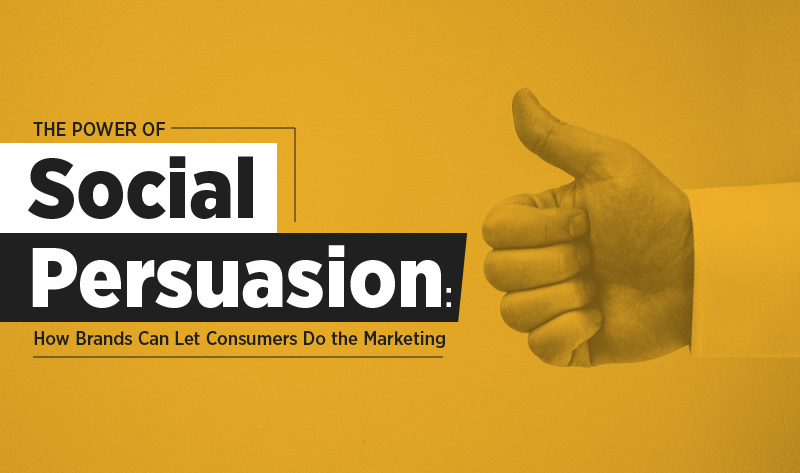 Brands can keep these conversations flowing by intertwining the most persuasive social content into current marketing campaigns and owned properties. With the right technology, integrating user-generated social content into existing digital marketing platforms and campaigns can be simple. This includes dynamic display on branded websites, screens during live events, in-store displays, television broadcasts, corporate websites, Jumbotrons, digital billboards or live TV commercials. Any of these tactics present brands with an opportunity to strategically capitalize on the word-of-mouth marketing generated by loyal consumers across all social channels. 1. Build enthusiasm for upcoming events. In today’s age of Instagram and Snapchat, consumers attending live events are likely posting about it on social media. As a brand, why not capture these moments? With real-time display tactics, marketers can aggregate this content onto in-venue displays to generate awareness and build enthusiasm. For example, the Denver Broncos developed an online and in-venue visual display to surface social fan content such as photos, Bronco-related conversations and more to hype up season games. The Broncos marketing team aggregated Tweets and photos onto screens within the stadium as well as the Broncos website in real time. Non-sports brands can do the same to promote new products or events by encouraging customers to post about recent purchases and then aggregate the content on in-store displays or eCommerce sites. Brands can offer discounts or other incentives to motivate the first consumers to participate. Once the initial enthusiasm is generated, others will begin to follow suit, which not only generates brand awareness, but also encourages engagement. You may have heard that if a person in line at the grocery store puts money into the donation jar, the next person in line is more likely to do the same. It’s the same concept of social persuasion, and organizations can tap into it to drive social activism. Social media can be an incredibly powerful way to influence massive audiences—especially if the ideas are originally generated by peers. If leveraged correctly, cause-based organizations can integrate social media content into digital marketing tactics to encourage activism. The Random Acts of Kindness Foundation created a digital experience to encourage schools, businesses and individuals to perform and submit photos of random acts of kindness on social media. The organization displayed all content that was posted using a specific hashtag on a branded website. As users submitted posts, the content was displayed on the site in real time, which effectively encouraged more and more consumers to participate. 3. Experiment with user-generated content in the purchase cycle. Research has shown that consumers are highly influenced by real-world recommendations when making purchasing decisions. In fact, user-generated content has been found to be one of the most effective social marketing tactics for increasing conversions. Japan’s largest e-commerce retailer successfully drove revenue by integrating socially sourced product visuals and relevant content into various retail categories to showcase real-world consumers wearing and sharing images of specific products. The retailer used an A/B test to analyze ROI and found that adding an authentic element to the purchasing decision drove a 10% increase in sales. In a world where social media dominates our everyday lives, it’s important for marketers to leverage it effectively. Not only are most consumers actively engaged on social sites, but they also tend to trust their peers on these platforms more so than they trust brands. It’s up to marketers to capitalize on the opportunity. Integrating positive user-generated content into traditional marketing tactics can reach millions of consumers and make a lasting impression in a way we never thought possible. This is a guest contribution from Jordan Slabaugh, vice president of marketing at Wayin.